When Larry and Richard return to work after their original weekend at Bernies they are surprised to discover that they've been fired. And the $2 million that Bernie stole from the company has been stashed in the Virgin Islands. They head to the Caribbean where a voodoo priestess resurrects Bernie. 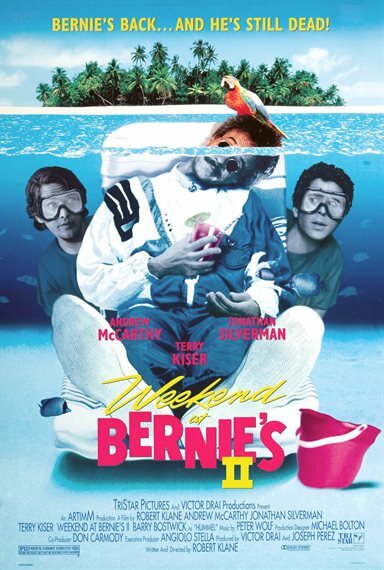 Weekend At Bernie's II images are © Columbia Pictures. All Rights Reserved.